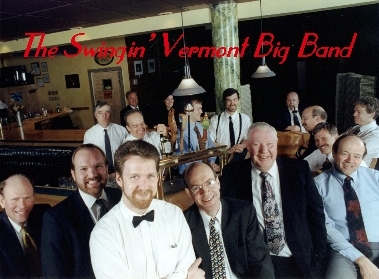 The Swingin' Vermont Big Band! Checkout our upcoming Gig Calendar. Look at some Photos of the band in action! We have a CD available. You can find out more under the 'Our CD's' button! Drop us a line and tell us what you think!